I might not be a football freak but I am not ignorant about the game. Last year the internet went crazy over the amount a particular player (Neymar) was getting and then all of a sudden people started indicating their interest in football and how they will love their children to play professionally just because of the pay attached to it. Neymar is not person, Neymar is a spirit; an attitude. Neymar, the Brazilian footballer was trending about his new contract to be paid a whopping £515,500 a week. That’s over 200 million naira every week for playing football. The uproar from different people expressing their desire to have their children be footballers. Some were mere jokes, some weren’t. Everyone is caught up talking about how much he’d be earning but not too many people observed the dynamics of how he got there. · Neymar started playing football at 14. · At 17, he had his first professional football contract. Guess what? Neymar is currently 25 of age. Now, like I said. 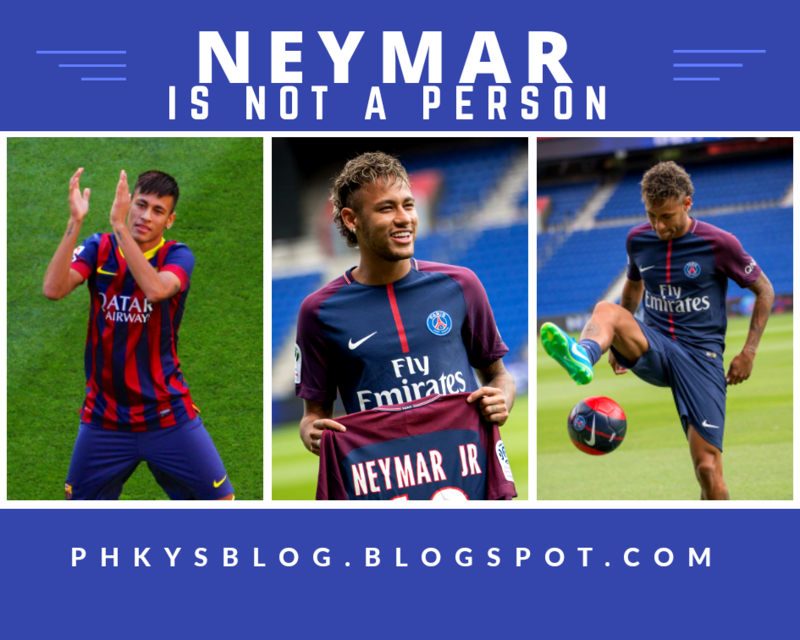 Neymar is not a footballer. Neymar is a spirit; an attitude. Neymar is when you develop a vision and start early. Neymar is when you invest time developing your talent. Neymar is when you don’t underrate yourself because you are young. Neymar is when you work hard, gain knowledge about what you are passionate about. Neymar is when you are productive. Then, you’d be that Neymar that can earn so much for what you do. This is not about football being lucrative. This is about a spirit of excellence, hard work, and purpose. In all careers, labour and talent, there is PROFIT but you’d not achieve it by mere lip service. You have to develop yourself! It will take time but you will definitely grow. This isn’t just about football. This is about being good at what you do; excellence, skill, tact, knowledge, productivity and result. In whatever you do, be it web designing, public speaking, coaching, fashion designing, photography, teaching, writing, lecturing, researching, journalism, acting etc. Remember Neymar is not just a person; Neymar is an attitude of excellence and skill. You will earn as much as you invest in making yourself excellent at what you do. No amount is too much to pay when you are good enough. Your potential is priceless. Yesss, Neymar is an attitude! VOB loves to have you around.. Remember.. Neymar is not a person, Neymar is an attitude! Live it right and see the magic! Thank you for reading and sharing.. Please do check back from time to time for more updates!! the title is really catchy o....Nice one..NEYMAR AN ATTITUDE....!